These simple cakes are dense yet moist bursting with flavorful raspberry filling and a kiss of buttery lemon cream! Heat oven to 350 degrees F. Line standard muffin/cupcake tin with paper or foil liners. Whisk together flour, sugar, baking powder, and salt in bowl of standing mixer fitted with paddle attachment. Add butter, yogurt or sour cream, eggs, and vanilla; beat at medium speed until smooth. Scrape down sides of bowl with rubber spatula and mix by hand until smooth and no flour pockets remain. Divide batter evenly among cups of prepared tin. Bake until cupcake tops are lightly golden and toothpick into center comes out clean, 20 to 24 minutes. 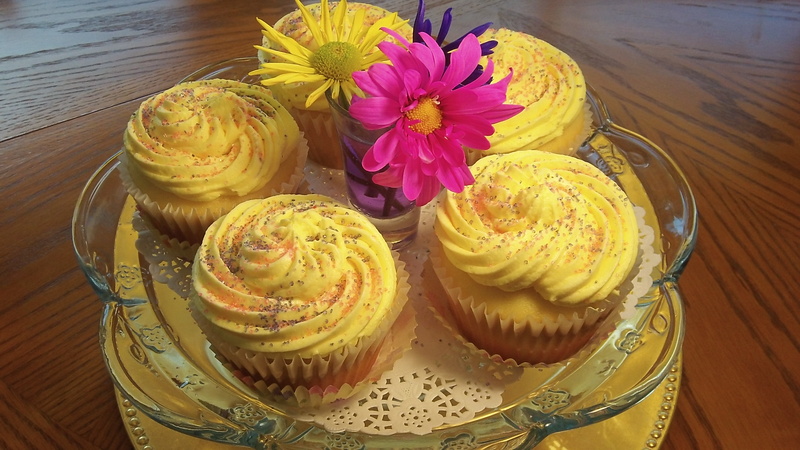 Remove cupcakes from tin and transfer to wire rack; cool cupcakes to room temperature before frosting. Using the wire whisk attachment of your mixer, whip the butter on medium-high speed for 5 minutes, stopping to scrape the bowl once or twice. Reduce speed to low and gradually add the powdered sugar. Once all of the powdered sugar is incorporated, increase the speed to medium-high and add the vanilla, mixing until incorporated. Whip at medium-high speed until light and fluffy, about 2 minutes, scraping the bowl as needed. Spread of pipe frosting onto fairy cakes evenly. 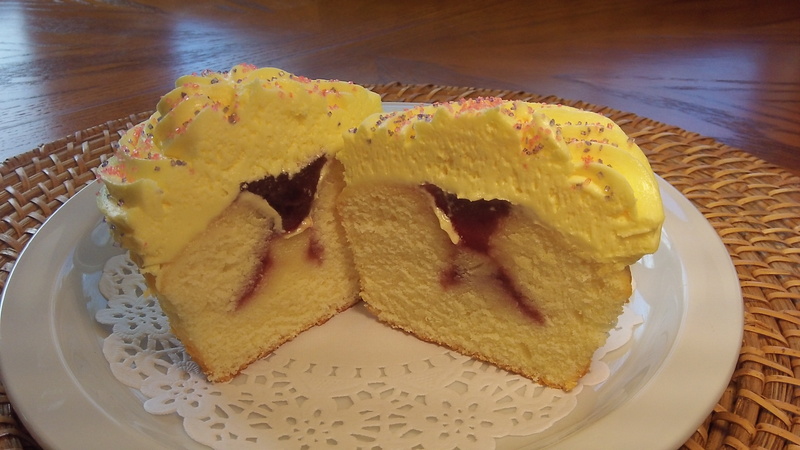 Previous Post The Historical Cupcake—aka Fairy Cake…Get the Skinny! How do you put the filling in? Hi Paul! There’s actually 2 ways. There’s a youTube tutorial in the middle of today’s blog…just click on the brunette and she’ll show you 😉 It’s really simple too! Thanks for your comment! Thank you, Bill! The flavors are equally as pleasing! Thanks so much for your comment! Cheers!